Frohmood.com also known as Frohmood Counselling is operated by Frohmood P/L. Frohmood.com or Frohmood P/L is not a mental health clinic or a hospital. Frohmood P/L and its counsellor means that Frohmood P/L subcontracts counsellors, who work as independent operators,thus the counsellors are not employees. Counselling services of and services of Our Recommendations is for people who seek help. When using our website Frohmood.com you agree to the terms and conditions, which includes the legal binding terms of our website. Modifications of our website and services may take place occasionally. You may also become aware of the agreements, which includes Frohmood’s P/L policy of acceptable content on our website, Frohmood’s P/L policy of privacy and any other alterations and notices on our website. Counselling services and services of Our Recommendations consists of Frohmood P/L and its counsellors to attempt the client of Frohmood P/L (you) to assist him /her to improve and / or change and / or exterminate, some of / if not all of his approaches, concerns, mentalities, information, awareness, tendencies, decision-making, emotional pain self-awareness about him /herself and his /herenvironment. Counselling services and services of Our Recommendations takes place via Skype (a web-camera video link), consequently it consist of face-to-face via a web-camera..
Counselling services and services of Our Recommendations consists of Frohmood P/L subcontracted counsellor (s) receiving information from the client -written or spoken- and the counsellors provide suggestions, ideas to work towards the client’s goals. Thus, Frohmood P/L and /or its counsellor(s) relies on the quality and quantity of information received from the client of Frohmood P/L. The corresponding information, Frohmood P/L and its counsellor(s) supplies to the client of Frohmood P/L might not only be based on scientific research, but also might be based on common sense, experience, cultural knowledge, duty of care, cultural differences, personal opinion. Counselling services and services of Our Recommendations can consists on occasions of applying certain therapy methods that might evoke unpleasant and painful feelings by remembering hurtful memories. Please inform Frohmood P/L and the counsellor if you are suffering from a heart-condition, diagnosed mental disorders, or any other health conditions, which might impede on the counselling process. Frohmood P/L and its counsellors implement a duty of care that consists of maintaining a high level of professional service to the client stipulated by legislation and personal interest for the well-being for the client. 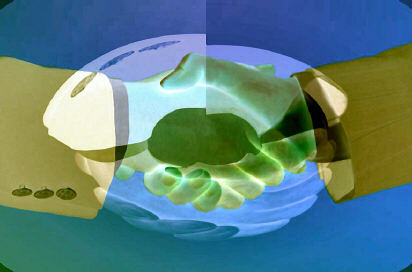 The information the counsellor(s) supply to the client is correct to counsellor (s) best knowledge. The counsellor(s) might warn that the client’s decision-making could be unfavourable. The counsellor(s) and Frohmood P/L are not responsible for unseen events, act-of God, client’s decision-making, clients behaviour and clients emotions, nor responsible for those of the client associates. Frohmood P/L is not responsible for its subcontracted counsellors. If you under 18 years of age you need consent of a guardian. Frohmood P/L possesses all proprietary rights for the website and it’s service, which includes all trademarks, material, and proprietary information. You agree not to publish, modify, distribute, copy, sell or display any proprietary information, except the information you have written on your profile and/or public domain. In no event is Frohmood P/L and its counsellors liable for you or any third person for any damages, including punitive and loss of profit, even if Frohmood P/L has been become aware of the possibility of such damages. Hereby you ( the client) agree to indemnify and hold Frohmood P/L, its counsellor (s), subsidiaries, other partners affiliates, agents, not liable for any loss, liability, claims, or demands- including reasonable attorney’s fees, made by any third party due to or arising out of your use of the Service in violation of this Agreement and/or arising from a breach of this Agreement and/or any breach of your representations and warranties set forth above. Frohmood and its counsellor (s) is not responsible for any action and / or inaction and decisions the client makes; thus it is the responsibility of the client. Frohmood and its counsellor (s) operates from Australia, consequently no personal indemnity nor legal actions w h a t s o e v e r can be forthcoming to individuals outside the borders of Australia that includes, Canada, USA, United Kingdom. Frohmood and / or its counsellors reserve the right to refuse service to person(s) who might harm, lie, threaten, intoxicated, withhold legal information, people with certain mental illness, damage and/ or negatively impact the services of Frohmood and /or its counsellors, its employees, its helpers and subcontractors; if the Informed cionsent has not been read nor agreed by the client. and if not verbal agreement between the client and counsellor can be achieved. All information received from the client will be kept confidential. Written notes taken by the counsellor can be subpoenaed by a court of law. Each situation and concern of a person is different. In order to provide effective counselling, the client and counsellor need to discuss, which goal(s) the client wants to achieve. Thus, a verbal agreement has to be discussed between client and counsellor of the requirements, expectations of the clients, cost, terms & conditions before counselling commences. It is imperative that the Informed Consent has to be read and agreed / given by the client before the counselling session commences. Frohmood P/L and its counsellor(s) uses Our email service is to provide additional assistance to the client of certain issues, problems he has discovered during the interactions. . Our email service is NOT a substitute of a counselling session. The answer we provide is usually approximately 500 words. Attachments send by the client will not be opened (due to the risks of computer virus infection). It is designed to offer the client of Frohmood P/L and its counsellor(s) certain recommendation via Skype to ease his current / immediate concerns, mentalities, and situations, e.g. a painful separation 12 hours ago. Consequently, the client is not required to enter into a client-counsellor counselling agreement. Cancellation of appointment must be made at least 24 hours before the scheduled appointment without attracting a cancellation fee. The interview is face-to-face via a web camera. If another person will join you before and / or during, then you have to notify us beforehand. Each session is approx. 60 minutes long. Each session consist of a web-camera, microphone and a video-link between the client and the counsellor. Each session must be free of sexual innuendos, racist remarks, intoxication, threats of any kind, foul language, political questions, demands, harassments. For the video-link, the client needs a loud-speaker, microphone, monitor and an internet connection to gain our service to Skype. Due to fluctuating internet connection speed the quality of the video might change or break off during the consultation or counselling session. .
Due to the limitation on Skype, Frohmood P/L and its counsellor (s) is not able to provide in-depth psychotherapy. People who are diagnosed during the counselling session of an existing undiagnosed mental illness, Frohmood and / or its counsellor (s) will suggest that you find a mental practitioner in your local area and consequently our Counselling services will cease, however Our Recommendation services still can provide you with assistance. Frohmood and its counsellor (s) is not responsible for technical problems, internet speed, internet outages, malfunction of equipments, hacker attacks, lost emails, computer viruses of any kind. Please ensure your computer and equipments is of good working order , and free of computer viruses and other malware. In case you are experiencing an emergency, you understand that you will seek help within your local area, Lifeline, Beyond Blue, Police, GP, etc., and not solely reply on Frohmood and its counsellor (s). Frohmood and /or it s counsellor (s) reserves the right to investigate and take appropriate legal action in its sole discretion against anyone who violates this provision, including without limitation, removing the offending communication from the Service and terminating the services of such violators. When Frohmood and /or it s counsellor (s) were informed during a session that a crime took place, and / or will take place, Frohmood and /or it s counsellor (s) will forward this information to the authorities. Frohmood and its counsellor (s) maintain Mandatory laws within Australia. If any of these above mentioned categories affected you and / or you are experiencing them currently, please contact a professional service ( Police, Lifeline, etc.) immediately. Frohmood admits NO responsibilities of damages, injuries. In case of internet interruptions due to hacking attacks or Act of God, such as bushfires, floods, during the counselling session, the interrupted counselling session will be repeated on the next available date of no extra charge. Payments are made via credit card using a PayPal platform. When you agreed to a counselling session the counsellor will send you an invoice / payment link. Payments must be made 48 hours before counselling commences. In case of personal emergencies, please contact your counsellor and ask if he is able to schedule you in; still payments have to be made before counselling starts. In case the counsellor loses the contract with Frohmood P/L or dies, you will be informed as soon as possible. You have the option to continue with a different counsellor or to cease counselling. By agreeing to commence counselling sessions, you agree that you have read, agree, and understand the Informed Consent. All financial transactions are in Australian Dollars. English is the language that is used during the counselling session. The term Self-harm is often used for wilful personal body injuries and suicide. Frohmood extends this term for further damages to personal potential, future potential, damages and injuries to other people / property, neglect, abuse and domestic violence. An act of God is a natural hazard outside human control, such as an earthquake or tsunami, for which no person can be held responsible.